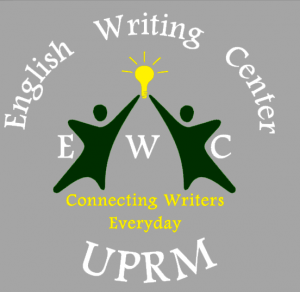 The English Writing Center is a free resource that provides English writing and oral communication support for University of Puerto Rico-Mayagüez students. They are a safe haven for writers and English language learners regardless of their level of proficiency or stage in the writing process. Their fully bilingual and academically-diverse peer tutors conduct one-on-one tutoring conferences, conversational English sessions, and a variety of workshops targeting typical areas of writing difficulty. Their main goal is to help writers, from any academic discipline and level, become better writers. 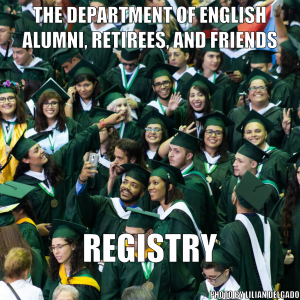 The center is located at the university’s Celis Building, Room Celis 206, and is open Monday through Friday from 8:30 AM to 4:00 PM. Everyone is welcome! Also, it is advised to arrive no later than 3:40 PM so there’s sufficient time to serve the student. No appointment is necessary for the general tutoring sessions. Monday-Thursday 8:30 a.m.– 4:00 p.m.